There are many reasons why you might want to become an HGV driver, especially at the moment during the global financial crisis. 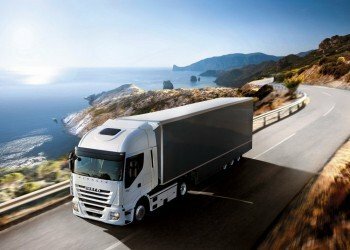 With job security becoming an increasing concern for people across the world, finding a ‘recession proof’ job is one that is a highly desirable prospect, and an HGV driver can certainly claim to fit into this category. The assertion comes as a result of the high demand for HGV drivers across the country. Companies are calling out for drivers to deliver their goods, and there are simply not enough drivers to fill all the necessary jobs. There are even fears that the lack of drivers will negatively affect businesses in the next few years, leading to losses as they become unable to deliver their goods. So as soon as you become an HGV driver, you will quite literally be able to pick and choose the jobs that you want to take on, and you will be welcomed with open arms wherever you go. As there are so few drivers available, and so many positions to fill, HGV drivers can enjoy one of the highest job security rates in the entire country for any job, which has got to be a tempting proposition. HGV drivers enjoy numerous benefits, including a decent pension, good holiday opportunities and even medical cover, meaning you will be well looked after if you decide to enter into this profession. On top of these benefits, one of the things that HGV drivers can look forward to most is the flexible nature of the work. As HGV drivers can pick which jobs they would like to do, it provides a flexibility unheard of in many other jobs, which allows HGV drivers to fit in their jobs around their lifestyles. But HGV drivers do not exchange job security and good benefits for bad pay. On the contrary, it is a highly profitable job, with rates of £600 per week the industry standard. This means that it really provides a good career option with the ability to earn a good wage for life and, if anything, the pay will get better as more people are tempted into the industry. But you needn’t stay a driver for your whole career. Many people who enter into the profession find that there is a large room for growth in the sector, and many drivers find themselves moving on to fill the numerous senior positions, which will lead to better pay down the line. However, as the job has a high satisfaction rating, many HGV drivers stay in their position for life. And all of this is available by simply qualifying to become a driver. Whereas many other jobs with such perks would require you to take out significant training or to go to university for a few years, you can become an HGV driver by simply undertaking a short course, which could last as little as five days, in order to get your license. All you need in order to train as an HGV driver is a clean driving license, and you could be choosing your next job in little over a week.